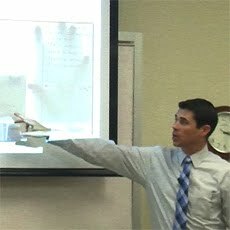 Compnology Blog: Can LCD's be Fixed? LCD's do have many replaceable parts and have higher probably of repair than the old CRT box monitors. 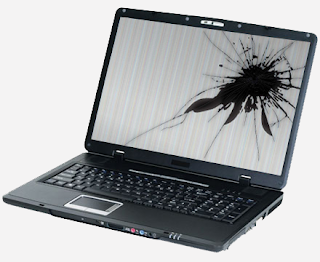 In Most cases a failed or broken Laptop Screen is worth the repair. The AC Adapter can be easily tested with a multi-meter. This test is usually 90% conclusive if the AC adapter is good or bad. Also if the LCD has absolutely no power, no power light, no faint display, no reaction at all, the AC Adapter is a likely culprit. We can do a multi-meter test for free if you bring to our service center. • Discolored areas of the screen. • Dots of color. Usually Black or White, but could be any color. This is a bad pixel and is the start of a failing screen. What if I break my panel?This is rather common on a laptop. Almost always its worth fixing. Usually we purchase a new panel or pull from a parted out laptop. On a desktop LCD, I usually suggest to replace the entire screen. Some manufactures make replacement panels, but often times do not. Other Failures. This can be anything from bad controller board or bad internal cable. These items should be diagnosed by a professional. A simple cable issue can be $5 part. Bad board might be a time to buy a new screen. In all cases, it might be worthwhile to fix your LCD, especially on a laptop. Although with a few year old desktop LCD, you may consider a replacement, especially if you’re thinking of an upgrade.